Father’s Day is approaching. 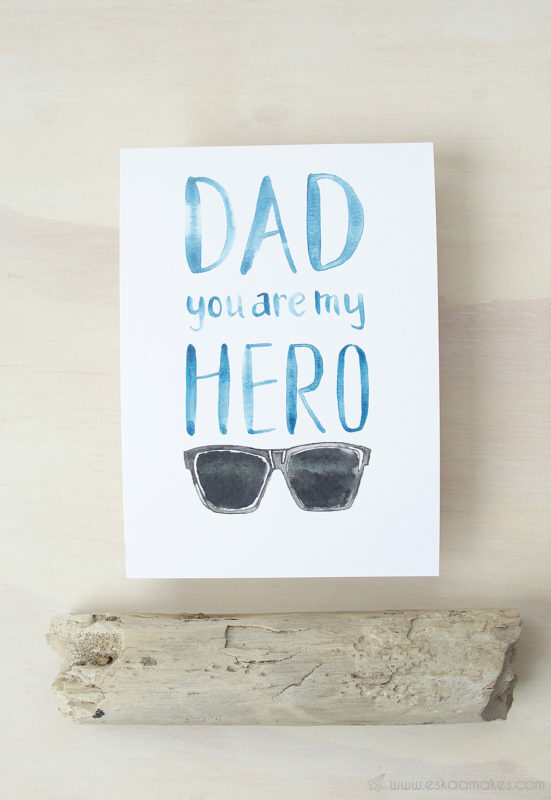 I must admit, it’s much more difficult to find a little something for my Dad than for my Mum. Perhaps that’s because it feels that presents are not that important to men. Or maybe it feels just harder because we’re NOT men. Anyhow I believe that Dads and all men also need and want the attention of gratefulness, they just show it differently than women. So I think it’s as important to let your Dad know how much you care than it is to tell your Mum. 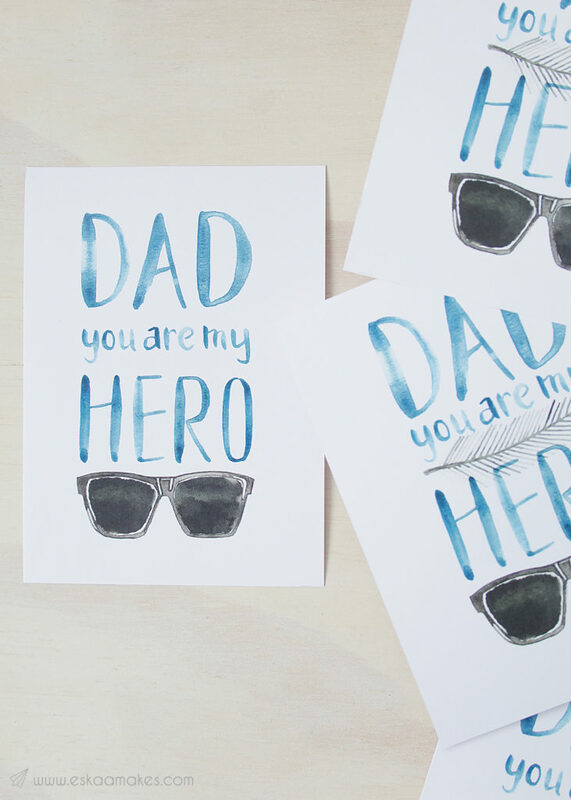 This printable for Father’s Day or any other day you want to say thanks to your Dad. 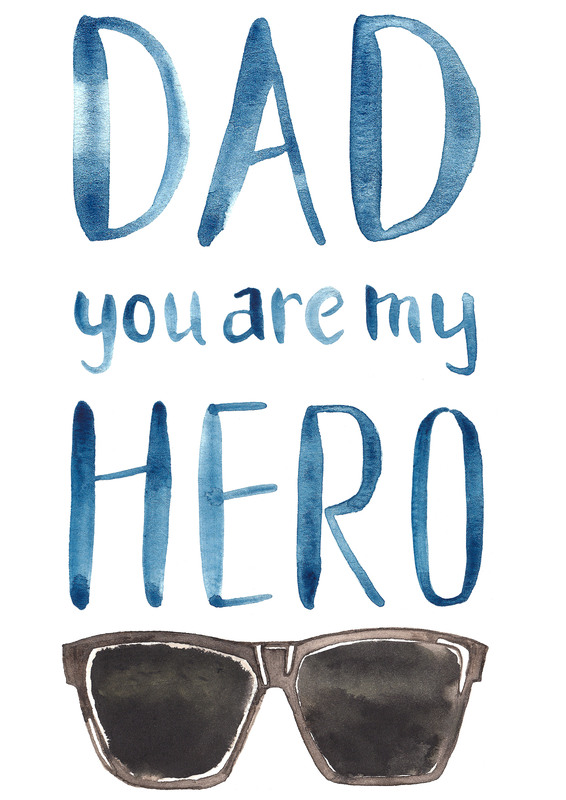 Father’s Day is a great opportunity to say Thanks. 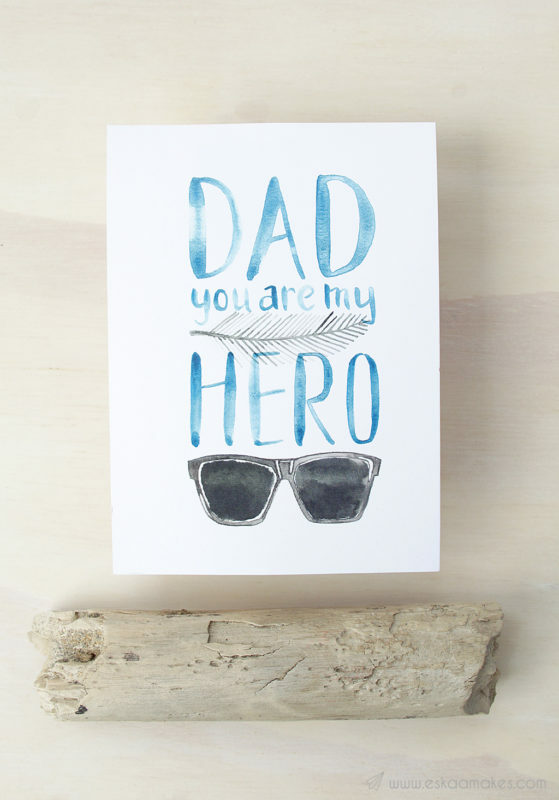 Dads are the first male role models in your life, they are strong and protective, they are wise and caring, they make you laugh and they make you cry, they hold your hand and they listen and they let you know that they’ll be always there for you. 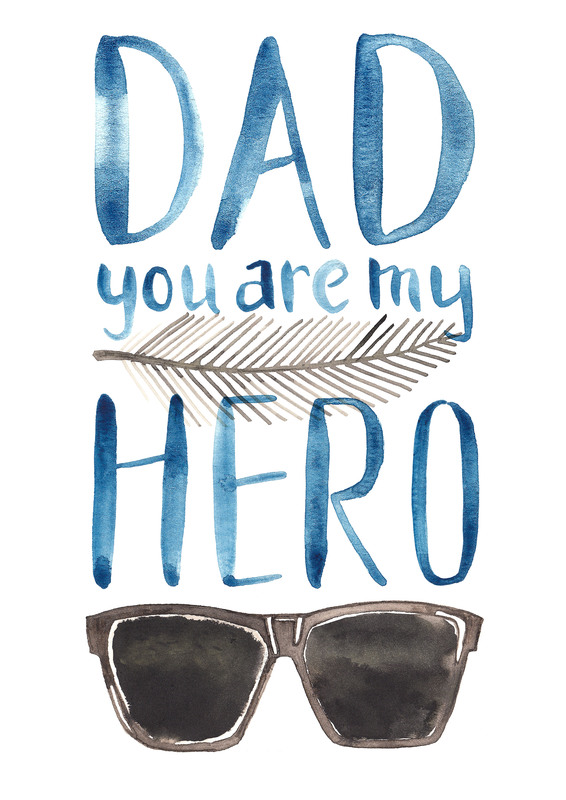 Dads are personal heroes. So why don’t tell your Dad? To make it last, I included three ideas how to display the message, so your Dad will be reminded throughout the year. 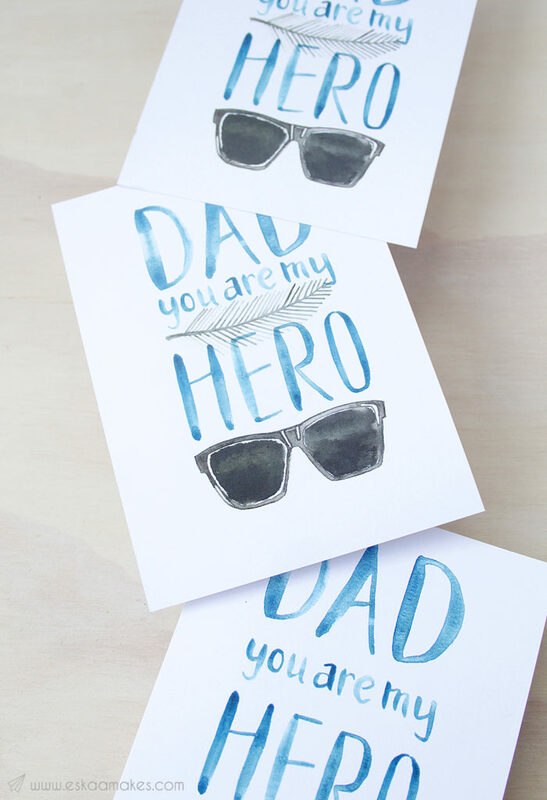 You have two options (with feather and without) and two different file types and sizes of the Father’s Day Hero printable to choose from depending on your needs (click on the image). This you can easily downsize in a program like Word and print in your desired size. Have a wonderful weekend, everyone! What are your plans? 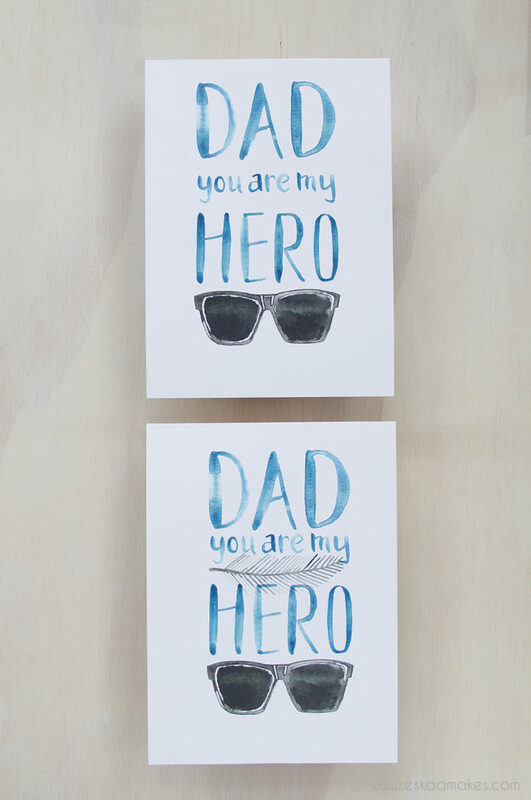 Hopefully you’re lucky enough to spend some time with your Dads.